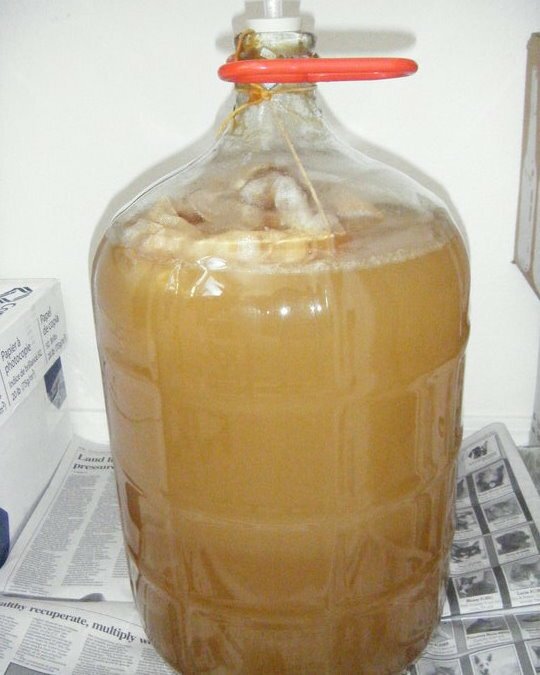 We made a standard mead using champagne yeast and 1 gallon of honey for a 5 gallon batch. The local brew store recommended a few additions such as irish moss for clarity and a wee bit of tannin for balance. Apparently drinking fermented beverages such as this lovely hefeweizen from Albuquerque’s fabulous Marble Brewery while brewing a new batch optimizes success for the fermentation to come. For complexity, we added a dozen sliced apricots to the mix. As you can see, this created a minor disaster when it came time to stuff pasteurized apricots through a tiny hole in the 5 gallon bottle. It’s not hard to imagine feet, floor, bottle covered in sticky orange baby food. After about 2 hours of boiling and prep, the house smelled like a very floral honey and the mixture was chillin’ in the bottle (I think it’s called a carboy). And now we wait… 6 months, maybe 9. If all goes well, and Elliot’s magic overcomes my bad brewing mojo, we’ll have mead by Christmas. 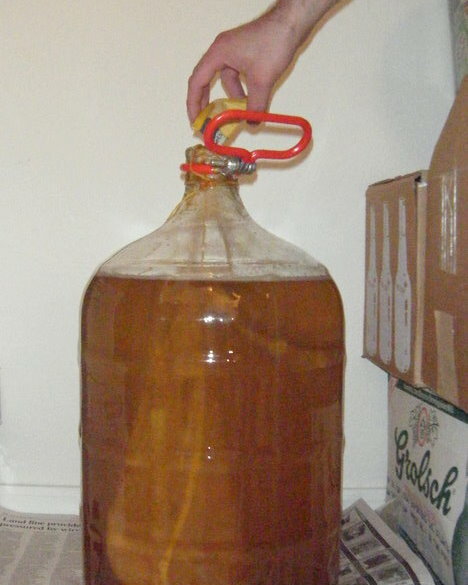 Brewmaster Elliot sends a few photos of the mead-in-progress. At the left is the slightly cooled mead into which he’s pouring a packet of champagne yeast. At right is the mead this morning with fermentation clearly underway. ← Bosque fire licks my beehive! This is so cool! my relatives back east make Kombucha I will have to ask them for tips for you! Looks good! Ryan and I are next! We just bottled some apple wine he made and it’s goooood. We’ve homebrewed our own beer, with much success. So mead is next on our list of things to do. So you’re more than ready for mead, Monica! It smells like yeast in my studio today. I love it! Mmm … Mead is wonderful stuff. I’ll trade you Kombucha for Mead! My head is spinning just from the notion of A GALLON OF HONEY. Can’t wait to hear how it turns out.